Andrea Harp was thrilled with the excitement of being a first-time mom. Early on in her pregnancy, she found out her family was growing from 2 people to 4 with the expected arrival of her twin daughters in November 2015. That excitement quickly turned into fear when Andrea went into labor 15 weeks early. Miraculously, both Ainsley and Alex survived and at 3-years-old are exceeding expectations, thanks, in-part, to in-home therapy services funded through the United Way of the Ozarks. 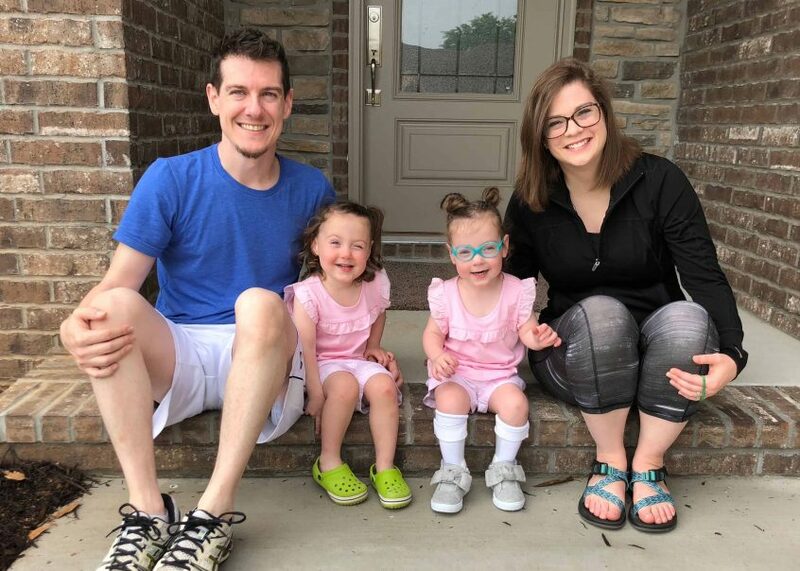 Andrea’s husband, Matt, gave to United Way of the Ozarks through his paycheck each month, but neither he nor Andrea knew the impact it would later have on their family. We ask that you join us and don’t stop believin’ in superstars like Ainsley and Alex. Make a donation today.